You can’t visit Derbyshire and the Peak District without heading to Chatsworth House and gardens. The stately home alone is worth a visit but it’s the gardens that make it really special. 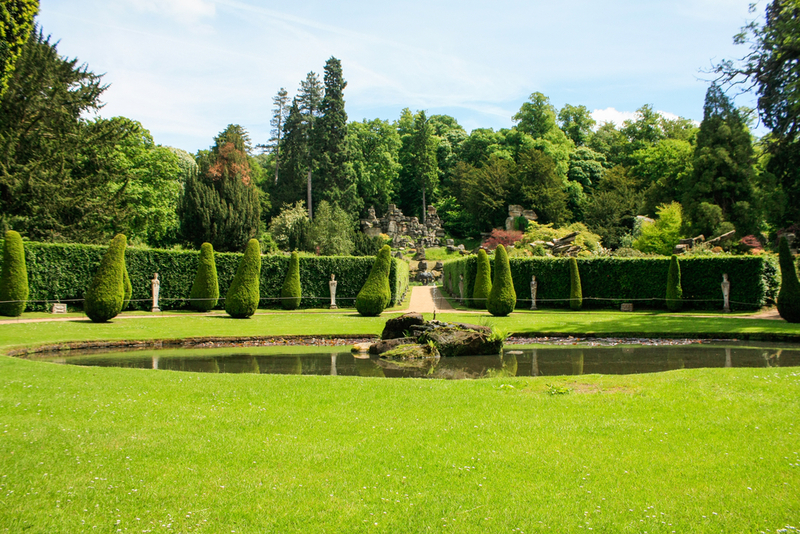 With both historic and modern waterworks and sculptures, a Victorian rock garden and a maze, there’s loads to see across the 105 acres. If you’re worried about it being boring for younger children, there’s an adventure playground and a farmyard to keep them entertained. If (unlike me!) something more active takes your fancy, Carsington Water near Matlock is brilliant. It consists of a very large reservoir like an inland sea with sailing, canoeing, a bike trail, fly fishing, and windsurfing. They run taster sessions and teach full courses and you can hire the equipment you need on site. I’ve talked before about the Heights of Abraham in the Matlock Bath gorge, as it has arguably one of the UK’s best cable car rides, scaling the heights of Masson Hill. You travel 169 metres up where you get to soak up the breathtaking views of the Derwent Valley. However, it isn’t just the cable car that makes the Heights of Abraham special. You can easily spend a whole day exploring caverns, trying a number of different walking trails and having fun in one of the playgrounds. This cave in Buxton is not only amazing to look at with lovely rock formations and plenty of stalyctytes. A real effort has also been made to light the caves beautifully and it makes such a difference to the overall experience. I have only heard great things about the guides who take the tours and the interaction with the children is particularly impressive. They seem to know a great deal, are passionate about what they are doing and bring the stories alive. They definitely add value to an already great attraction. It might not be as famous as Sydney but the Buxton Opera House stages a wide variety of entertainment throughout the year (not just opera but music concerts and comedy too) so you should check the programme to see if there is anything playing during your stay. Next to the Opera House is the equally flamboyant Pavilion Gardens. Set in 23 acres you can visit tropical greenhouses or maybe you will be lucky enough to catch a concert in one of the many domed bandstands. Sir Richard Arkwright’s Cromford Mill was the first water-powered cotton spinning mill and is recognised as a UNESCO World Heritage Site. The Grade I listed mill is widely regarded as the birthplace of the modern factory system (in the 1770s) and forms the centrepiece of the Derwent Valley Mills. The site hosts a huge mix of attractions including shops, cafes, exhibitions, guided tours and galleries. Midland Railway Centre in mid Derbyshire is a great day out for all of the family with heritage steam train rides, two railway museums, shops, children’s playground and country park. Steeple Grange Light Railway is a heritage railway near Wirksworth. It uses industrial locomotives and rolling stock from disused mines, quarries, and steelworks around the country. Derwent Valley ‘Dambuster’ Dams are a series of reservoirs high in the Peak District that provide magnificent scenery and where the famous Dambuster raid was practiced. Peak District Lead Mining Museum – located in Matlock Bath, the museum has a mock-up of a lead mine where children can explore.